The whole running process and prep for a race is like the dreaded 5 paragraph essay. Yes let’s school you since we’re back to school n’ all. There’s an intro (lots of hooping and hollering and sweating and prepping for the race), your 3 body paragraphs, known as running your race, which includes topics such as “Why am I doing this?”, “Oh dang, this isn’t so bad”, “No really, I’m going to passout” and your conclusion. We, being baby runners, didn’t know all the cool stuff you can do after a race to make sure your next race is even more kick a#*! (We don’t like to swear…for the kids ya’ know). But for the Magnificent Mile Chicago Women’s 5K, we had a guardian race angel, Terra Castro, retired triathlete and Luna Chix Pro, guiding our journey. If you missed our previous post on Terra’s pre-race tips read it here. Before the race, pro athlete, Lauren Fleshman, got us pumping with a motivational warm-up. 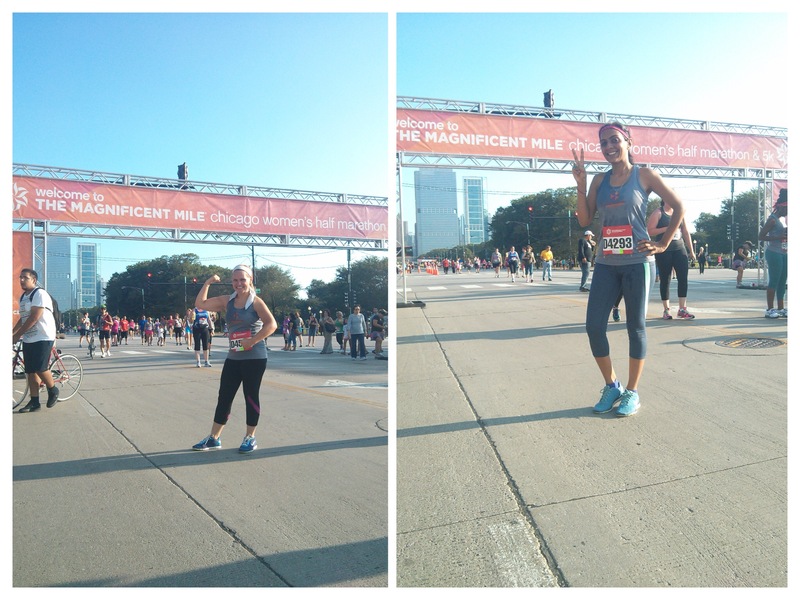 During our race, we took her advice and took a warm up walk from the car to the start line (cheap parking in the Chi is rough). 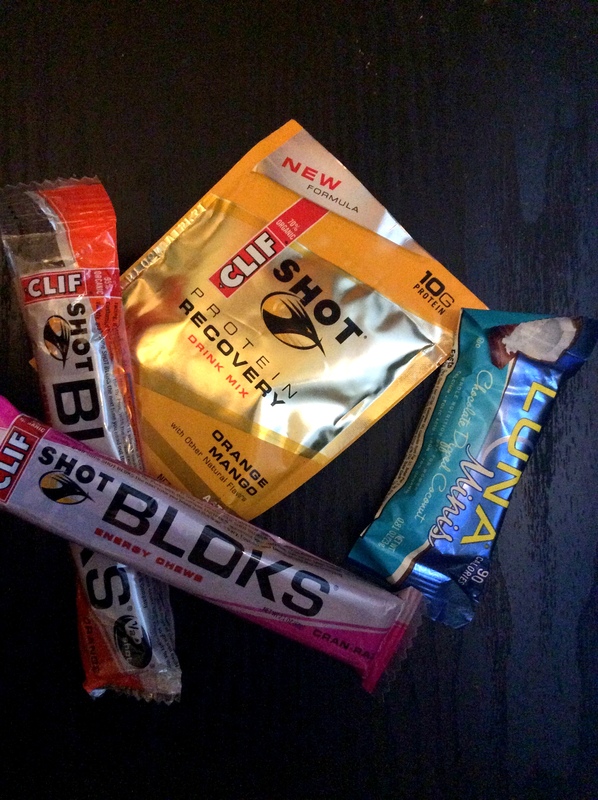 We took advantage of all the CLIF Shot Bloks (yumm caffeine in a fruit chewy form) that Luna shared with us and downed a bit of water to give us the get up and race energy we needed. Kate’s fave is the Tropical Punch because of the hit of caffeine and gummy bear flavor. Snack sized Luna Bars (mmm Chocolate Covered Coconut) were also on hand at the Mag Mile race for any racers lacking a pep in their step. 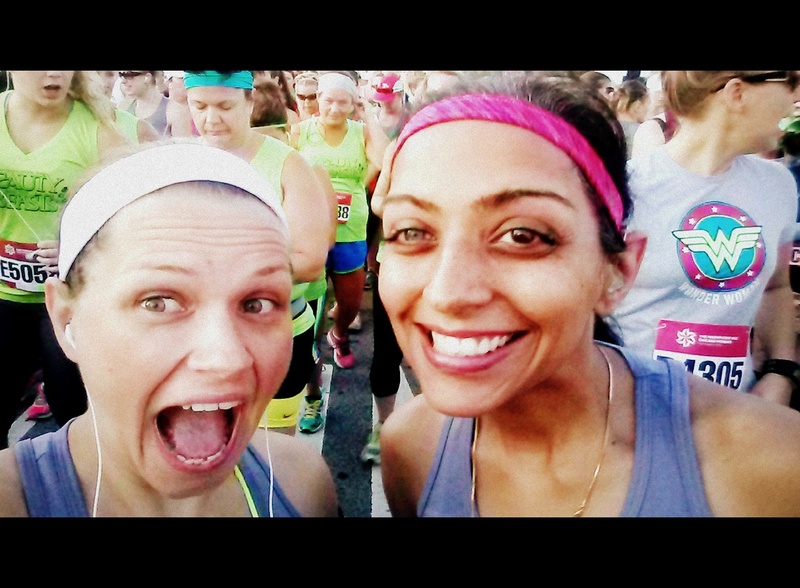 As we amped our way to the start line, we found our corral and prepped to run. The weather was perfect and as we began, we jaunted past Wildberry cafe, smelling the delicious brunchy scents of bacon and waffles as we jogged down Randolph. The best part of the Mag Mile run was the view on Michigan Avenue. Friendly onlookers urged us on with signs promising us free snacks at the finish line. And somehow, we made it to the end! And the end was awesome. There were angelic gentlemen handing us dark chocolate covered frozen bananas from Diana’s Bananas. There were free juice samples from Naked Juice. We also got free sport massages from Athletico staff and had our first experience with compression boots. Ok, so they look like the moon boots of the 80s but what these puppies do is tighten around your legs like a blood pressure cuff and move all your lactic acid (bad stuff that makes you super sore) up towards the fattier tissues in your pelvis area to reduce the amount of oww you feel the next day. What else can you do after a run? Let’s hear it from our LunaChix Pro and expert running coach, Terra Castro. – remember a change of clothes/dry clothes so that you can GO CELEBRATE AT BRUNCH! And now looking forward to your next race. How do you improve? Once you have completed your 5k, you can visit www.mcmillianrunning.com and plug in your race time to calculate training paces to improve your fitness level/ability to reach a personal best at your next race. It will give you paces for easy runs, long runs, and intervals etc. Love using this for my athletes and I even bought the app for my iPad. And Boy Oh Boy do we need to think about improving our fitness level! Kate has lost her mind and decided to take on a 10k in a month. Monica will provide her with nursing care afterwards. 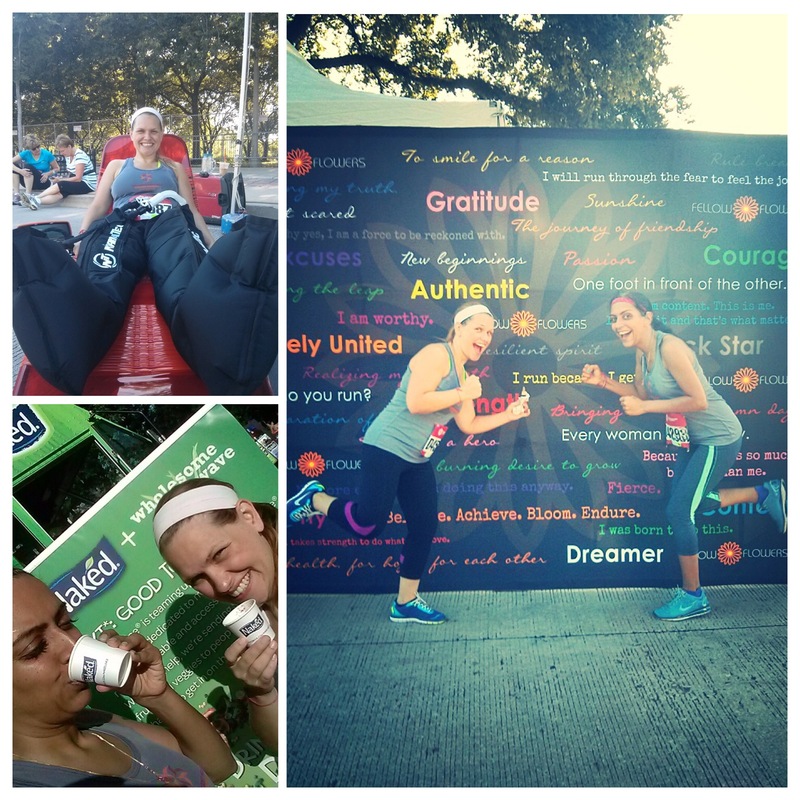 Are you inspired to try your first 5k? Get off that couch and get out there! You can keep your pjs on if you like.